Many people are struck with fear when they consider the end of life and the life thereafter. 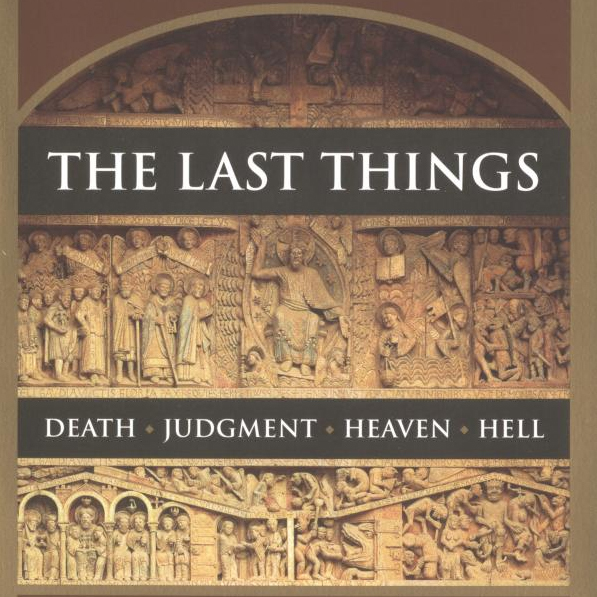 Death, Judgment, Heaven, and Hell – these are indeed sobering topics. And, while a certain element of trepidation in the face of the “last things” is natural and good, as Christians we also face these moments with courage and hope because of what Jesus Christ has done for us. Of course, if one does not know Jesus or what His Word teaches about the last things, then it can be difficult to see how anyone could face these things with confidence or security. Let us see what Scripture says so as to come to terms with God’s plan for the end of our earthly lives and life after death. When God created Adam and Eve, he actually created them for life, not death (cf. Wis 2:21-24). Everything in the Garden was theirs to enjoy, except the Tree of the Knowledge of Good and Evil. God warned them, “You may freely eat of every tree of the garden; but of the tree of the knowledge of good and evil you shall not eat, for in the day that you eat of it you shall die” (Gen 2:16-17). They did not heed the warning, and as a result they and all their descendants suffer death. God’s curse to Adam after his disobedience is plain: “In the sweat of your face you shall eat bread, till you return to the ground, for out of it you were taken; you are dust, and to dust you shall return” (Gen 3:19). Death is the separation of the soul from the body and the end of one’s life on earth. It is the effect of original sin (cf. Rom 5:12; 1 Cor 15:22) and fundamental to the human experience (cf. Eccl 9:5; 2 Sam 14:14; Job 14:5; Psa 90:10). When that day comes, “the dust returns to the earth as it was, and the spirit returns to God who gave it” (Eccl 12:7). To our great fortune, God became man and conquered death (cf. Rom 5:17; 2 Tim 1:10; Heb 2:14-15). To those who love God and their neighbor Jesus offers eternal life (cf. Mt 19:17-21; 25:45-46; Lk 10:25-28; Jn 6:40; 8:51; etc.). Now, this does not mean that Christians no longer die. We remain mortal beings. But, in Christ, death does not have the final say. “If we have died with Christ, we believe that we shall also live with him” (Rom 6:8; cf. 1 Thes 4:14). It is only when Jesus comes again at the end of time that death will be definitively defeated. “The last enemy to be destroyed is death” (1 Cor 15:26). When that day comes, “death shall be no more” (Rev 21:4). “Then shall come to pass the saying that is written: ‘Death is swallowed up in victory. O death, where is thy victory? O death, where is thy sting?’” (1 Cor 15:54-55). According to the “Glossary” from the Catechism of the Catholic Church, judgment is “the eternal retribution received by each soul at the moment of death, in accordance with that person’s faith and works.” Judgment is when Christ Himself decides whether one’s soul is fit for heaven or hell. This definition applies specifically to the Particular Judgment, the judgment that every soul receives immediately upon its death. There is also a Last Judgment that will coincide with the second coming of Christ. Since no eternal reward can be received without a judgment, the Particular Judgment is also implied in the passages that speak of receiving one’s eternal reward immediately upon death (cf. Lk 16:22; 23:43; Acts 1:25; 2 Cor 5:8; Phil 1:23). As for the Last Judgment, one may wonder why such a judgment is even necessary. Isn’t the Particular Judgment sufficient? Why do we have to be judged twice? There are at least three reasons for the Last Judgment. 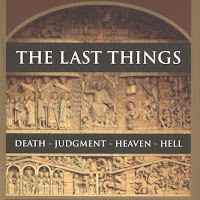 First, it is the Last Judgment that will put a definitive end to all evil. All that is good will be separated from all that is evil and then evil will be no more (cf. Isa 11:6-9; Mt 13:49; Gal 1:4; 2 Tim 4:18; Rev 21:3-4). Secondly, this Judgment will serve to vindicate the justice and mercy of God. The works of every person will be made known to all (cf. Mt 10:26; Rom 2:16; 1 Cor 3:13; 4:5). In this way, we will see why some merited heaven and others hell. We will finally come to understand why and how God’s plan unfolded in the life of every human being and of all creation. Finally, since the Judgment occurs after the Resurrection of the Body – when the human body of every person will come back to life – it serves the purpose of allowing us to experience heaven or hell as complete human persons. The righteous will receive glorified bodies of perfect strength and immortality, and the unrighteous will receive bodies that will add physical pain to their spiritual torments (cf. Jn 5:29). As we have already seen in our discussion of death, if we die with and in Christ then we will live with Him forever. This eternal life with God is what we refer to as “heaven.” Scripture does not tell us a great deal about heaven. After all, “What no eye has seen, nor ear heard, nor the heart of man conceived, what God has prepared for those who love him” (1 Cor 2:9). But, there are a few things that we can know about it. Once Adam and Eve committed the original sin, heaven was closed to man, as symbolized by their expulsion from the Garden of Eden and the angel that was placed to guard the way to the Tree of Life (cf. Gen 3:23-24). As a result, all souls went to Hades (or “Sheol” in Hebrew) where they experienced comfort or torment depending on how they lived (cf. Job 21:13; Psa 9:17; 89:48; Isa 38:10; Ezek 31:16; Lk 16:22-23). When Jesus died, He descended into this “prison” (1 Pet 3:19) with “bars” (Job 17:16), preached the gospel to the righteous souls (cf. 1 Pet 3:19; 4:6) and led them out of Hades into heaven. “Therefore it is said, ‘When he ascended on high he led a host of captives’” (Eph 4:8). This new abode of the righteous, where no unclean thing shall enter (cf. Rev 21:27; Heb 12:14), is now the promise and the hope of every Christian. “Here indeed we groan, and long to put on our heavenly dwelling” (2 Cor 5:2). Why? For one, there are “treasures in heaven, where neither moth nor rust consumes and where thieves do not break in and steal” (Mt 6:20). Heaven is a place of great rewards (cf. Mk 9:41; Lk 6:23; 1 Cor 3:12-15; Gal 6:9; 1 Pet 1:4) where we will reign with God in authority (cf. Dan 7:27; Lk 19:17-19; 22:30; 1 Cor 6:2-3; 2 Tim 2:12; Rev 2:26-28; 3:21; 22:5) and rest from this world’s many labors (cf. Heb 4:11; Rev 14:13). Heaven is a wedding feast where the saints will eat and drink with the Lord forever (cf. Mt 8:11; 25:1-13; Lk 22:30; Rev 19:7-9). When we behold this vision, worshipping the Lord will be irresistible. Scripture reveals heaven as a place of perpetual worship of our Trinitarian God (cf. Rev 4:9-11; 5:8, 12-14; 7:11-12). “Day and night they never cease to sing, ‘Holy, holy, holy, is the Lord God Almighty, who was and is and is to come!’” (Rev 4:8). Of course, if a person does not die in righteous standing before God, his soul cannot experience eternal friendship and blessedness with God. Scripture is clear that those who die with mortal sin on their soul will go to hell (cf. 1 Cor 6:9-10; Gal 5:19-21; Eph 5:5; Rev 21:8). Hell is also the abode of Satan and his demons, who were cast out of heaven after their revolt against God (cf. Job 4:18; Lk 10:18; 2 Pet 2:4; Rev 12:7-9). This place or state of existence is given many names. It is called “a burning place” (Isa 30:33), “the devouring fire” with “everlasting burnings” (Isa 33:14), “the unquenchable fire” (Mk 9:43; cf. Mt 3:12; Mk 9:48), “the furnace of fire” (Mt 13:42, 50), “the eternal fire” (Mt 18:8; 25:41; cf. Jude 1:7), “the hell of fire” (Mt 18:9), and the lake of fire and brimstone (cf. Rev 19:20; 20:10, 15; 21:8). It is also called “the outer darkness” (Mt 8:12; 22:13; 25:30) and “the nether gloom” (cf. 2 Pet 2:4, 17; Jude 1:6, 13). It is a “bottomless pit” (Rev 9:1-2; 11:7) of “eternal punishment” (Mt 25:46), destruction (cf. 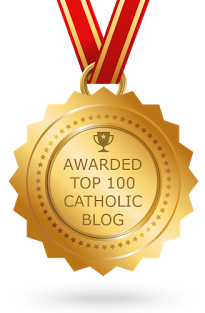 Mt 7:13; 10:28; 2 Thes 1:9; Jude 1:10), torment and anguish (cf. Lk 16:23-25, 28) where the worm does not die (cf. Mk 9:48) and there is weeping and gnashing of teeth (Mt 8:12; 13:42, 50; 22:13; 25:30). Since hell cannot be a place of both fire (which produces light) and darkness (the absence of light) these descriptions are probably metaphorical. But they do communicate unquestionably that hell is a place of tremendous pain. Of course, the greatest pain will come not from the fire or the darkness or the gnashing of teeth but from the reality that the soul is eternally devoid of the Lord. In hell God’s presence is lost forever. As Paul writes, “They shall suffer the punishment of eternal destruction and exclusion from the presence of the Lord and from the glory of his might” (2 Thes 1:9). How hopeless is life without God! With this quick survey of the last things in Scripture, an important theme comes to the fore: The “day of the Lord” (Joel 2:31; cf. Ezek 13:5; Isa 2:12; Lk 17:30; 1 Thes 5:2; Philem 1:6) is harrowing or hopeful depending on the state of one’s relationship with Him when He comes. Sinners will prefer death by an avalanche of mountains and rocks over the wrath of God (cf. Rev 6:15-17), whereas the saints will be granted access to the Tree of Life once closed to man (cf. Rev 22:14) and to “the water of life without price” (Rev 22:17). “Therefore you also must be ready; for the Son of man is coming at an hour you do not expect” (Mt 24:44).